Beauty supplements for glowing, healthier skin? Yes indeed. The latest buzz is about powders, probiotics and potions that treat your skin from the inside out. Carla Oates is the Queen of the movement as creator the world’s first living skincare range -The Beauty Chef. A former beauty journalist, Carlahas been researching, writing and teaching about organic health and beauty for the last fifteen years. 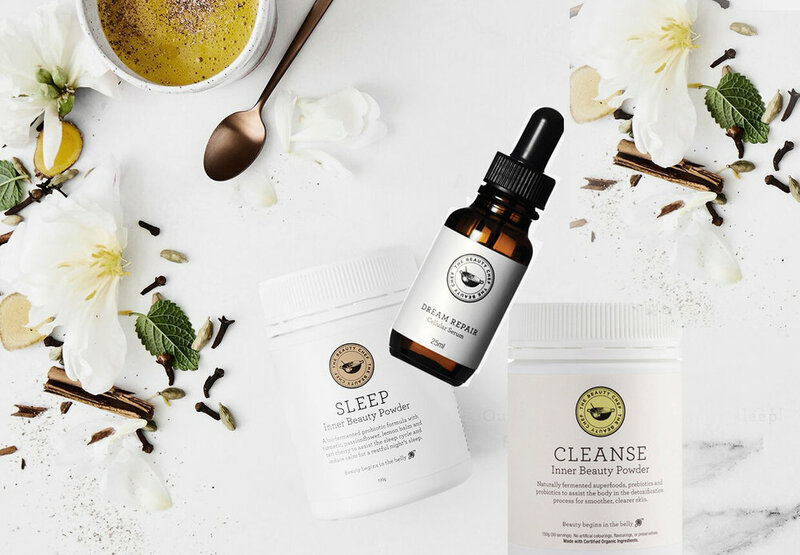 She collaborated with some of Australia’s top natural health practitioners and formulators to create her break-out brand. With a global cult following The Beauty Chef range consists of internal supplements and topical organic products to holistically treat skin (and overall) health. Carlais the author of the best selling book Feeding Your Skin, natural beauty columnist for Wellbeing Magazineand Goodwill Ambassador of Australian Organic. She also has the best skin (hair and nails) you've ever seen. Here, she talks about foods your skin genuinely needs, how to crack the 'sleep' code and why beauty begins in the belly. When did you discover the link between beauty supplements and great skin? Looking after my own skin and health issues is where my inner beauty journey began. I believe that beauty is an inside-out process. Glowing skin is basically a reflection of healthy cells. The key to a clearer, more radiant complexion and general wellbeing occurs when you balance your gut and feed your body nutrient-dense food. What we eat can have a medicinal effect on our bodies. Not only because food literally feeds our cells, but also because when it comes to microbes, the species and numbers found in our gut are influenced by what we eat. In addition, our immune system is also influenced by what we eat and the microbes contained in our food. So the food we eat provides the ecosystem that interacts with our immune system to maintain our health and skin and overall wellbeing. There's not a one-size-fits-all diet solution. Irrespective of whether you eat a vegan, vegetarian, paleo, pescatarian, or any other way of eating, I have found that unprocessed, organic, low GI and low HI (human intervention), sustainable foods are best for our bodies, the food chain and the environment. In simple terms: how do supplements give us better skin? Our skin is made of connective tissue with the two most abundant proteins being collagen and elastin. They support the skin and make it look healthy, firm and bouncy. As we age there is a breakdown in collagen and elastin which causes the skin to become wrinkled and sagging. While a decline in collagen production is part of the ageing process, there are many dietary and lifestyle factors that can either allay or accelerate the process. For example oxidative damage and inflammation caused by free radicals can accelerate the process, whereas eating anti-inflammatory foods and foods that are rich in nutrients that support collagen production and inhibit enzymes that break collagen down. In order to have younger looking skin, we need to eat a nutrient-dense diet. What does a typical day in food look like when you're cooking for your skin? My recipes are gluten-free, mostly dairy-free, skin-loving and gut-loving – they also offer healthy spins on traditional dishes. For breakfast you’ll find everything from smoothie bowls and baked eggs, to fritters and pancakes. For lunch there’s soups and salads, but also my variation of “fried” chicken and tacos. For dinner you’ll find vegan delights like cauliflower and jalapeno cheese bake with crunchy quinoa topping and paleo-loving baked smoky barbecue ribs. And don’t expect to skip snacks or dessert, panna cottas or cherry and almond clafoutis are great for entertaining, and my spiced and seeded crisp breads with roast pumpkin tahini dip are serious crowd pleasers. Supporting gut health is one of the best ways to look after your skin. Your gut is where 70% of your immune system lies, it’s where you make nutrients (that help protect and synthesise collagen), it is where we metabolise hormones, where we neutralise pathogens, where we make detoxifying enzymes – all of which can have a huge impact on your skin. My Glow Inner Beauty Powder supports both gut health and collagen health as does our Collagen Inner Beauty Boost - rich in probiotics, antioxidant rich, bio-fermented whole foods and skin supporting nutrients such as vitamin C and zinc. As the largest organ in the body does the skin offer a roadmap to where your health? The skin is a great barometer of what is going on inside the body, so when your skin is showing signs of imbalance, through a ruddy complexion, skin breakouts, crepey skin etc, it may mean that you are deficient in something or your gut health is imbalanced. Eating probiotic foods and taking probiotic supplements can help significantly as they help to balance gut health. Your gut is the root of many skin issues from rosacea, to dermatitis to accelerated ageing. Studies show that where there is gut inflammation, there is skin inflammation. And those who have a healthier gut microbiota have a healthier fatty acid profile in their skin. Their skin is more hydrated, moisturised, plumper and balanced. Poor gut health is linked to all skin issues from psoriasis to acne. As the gut is where we make nutrients and digest our food and make detoxifying enzymes and metabolise hormones, it’s state of health can make a profound impact on our skin. Lacto-fermented, probiotic foods help boost gut health, boost immunity, help your body make detoxifying enzymes, make nutrients, metabolise hormones, improve digestion and create probiotics that help detoxify your system. They make your skin glow! If you’re a newbie where should you start with The Beauty Chef range? If you’ve never tried our inner beauty products the combination of prebiotics and probiotics (which will help to promote a healthy gut and clear skin) should be introduced into the system slowly. TRY: The Beauty Chef Inner Beauty Boost Collagen, $39.95(for skin concerned with cellular ageing); The Beauty Chef Inner Beauty Boost Hydration$39.95 (for dehydrated skin); The Beauty Chef Inner Beauty Boost Antioxidant $39.95(for skin that is lackluster from being tired, overworked and run down). It really depends on the current state of your digestive system for how long it will take to see and feel the results. If it is really out of balance, you'll likely notice results straight away, but it may take a few weeks for your tummy to settle as you load it with goodness. Energy you will notice straight away and depending on your gut health, you will notice skin and nail changes within a few weeks. Over time and especially if you make other lifestyle changes that support good gut health, you will notice a huge difference in the way you feel, your skin and your weight. What skin type/s benefit the most from taking the supplements daily? Most people can benefit from taking some sort of supplement daily, that is unless they have a perfect diet and are in perfect health. Certain nutrients can have a direct impact on our beauty, from zinc important for wound healing and beneficial to oily skin prone to breakouts, to a deficiency in iron being the root cause of hair loss, or a deficiency in B vitamins or essential fatty acids causing dry, flaky skin for example. However, it is important to establish that you have a deficiency that is causing the issue as some synthetic nutrients when your body doesn’t need them become pro-oxidative – which means they contribute to free radical damage and therefore premature ageing. For this reason, I think it's’ best to get your nutrients from whole foods, however where there is a significant deficiency, there is definitely a role for specific vitamin and mineral supplements. Skin, hair and nails are the last places to receive nutrients that go to more important organs first. So nutrition is key to ensure that the skin, hair and nails are being nourished and therefore can be healthy and robust. It’s also really important to remember that it’s not just about adding something new to your regime as a magic solution to your health and skin concerns. People tend to take more supplements, more medicines, more superfoods to improve their health (the superfoods are good), but forget that one of the most powerful health promoter is taking out the processed foods from the diet as well as eliminating any allergens and foods that are tough on the digestive system like gluten and dairy. As well as drinking clean, filtered water, reducing stress and improving sleep hygiene. And where does exercise fit in the matrix? Exercise is very important as it helps to stimulate the lymphatic system and improve detoxification and boost cellular health. Exercising helps to increase oxygen supply to tissues and cells and stimulates blood circulation. It’s also very important for healthy hormones, which are important for healthy skin. I believe in regular exercise, however going too hard at anything can cause an acceleration of oxidative stress in the body as well as compromise digestive health. We sit too much! Our bodies are not meant to sit for long periods. Sitting causes triple flexion, which is when our knees, hips and backs are flexed at the same time. Over time, muscles become tight and others weak often resulting in a sore back. The best and easiest partial remedy is doing 20-30 cobras in the morning and again at night - this takes the spine into healthy extension and assists to rebalance and re-nourish the discs. Invest in a movement tracker to make sure you meet your daily movement targets. Aim for 10,000 steps a day for good health and 14,000 steps a day for weight loss. It's important that you don't sit all day at work and then leave all steps to the end of day - it's about changing habits. Move when you otherwise wouldn't. Be on your feet. Feel the buzz of being active. Weave incidental exercise into your day wherever possible because it all adds up to better health. Is there a ‘perfect’ age to start with beauty supplements? Everybody is different, so no, there’s no ‘perfect’ age. It’s also not just about blanket supplementation – the same as you’d think about skincare, there are definitely products that work for different skin and health concerns and different times in your life. As we age there is a breakdown in collagen and elastin which causes the skin to become wrinkled and sagging. While a decline in collagen is a normal activity of the ageing process, there are many dietary and lifestyle factors that can either allay or accelerate the process. For example oxidative damage and inflammation caused by free radicals can accelerate the process, whereas eating anti-inflammatory foods and foods that are rich in nutrients that support collagen production and inhibit enzymes that break collagen down. 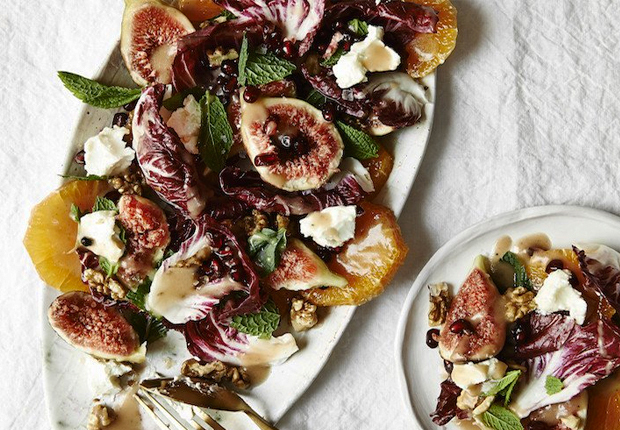 The Beauty Chef's Clear Skin Diet Rules.